I love designing photo christmas cards – and by designing, I mean a quick drop & drag of our pictures into the templates. 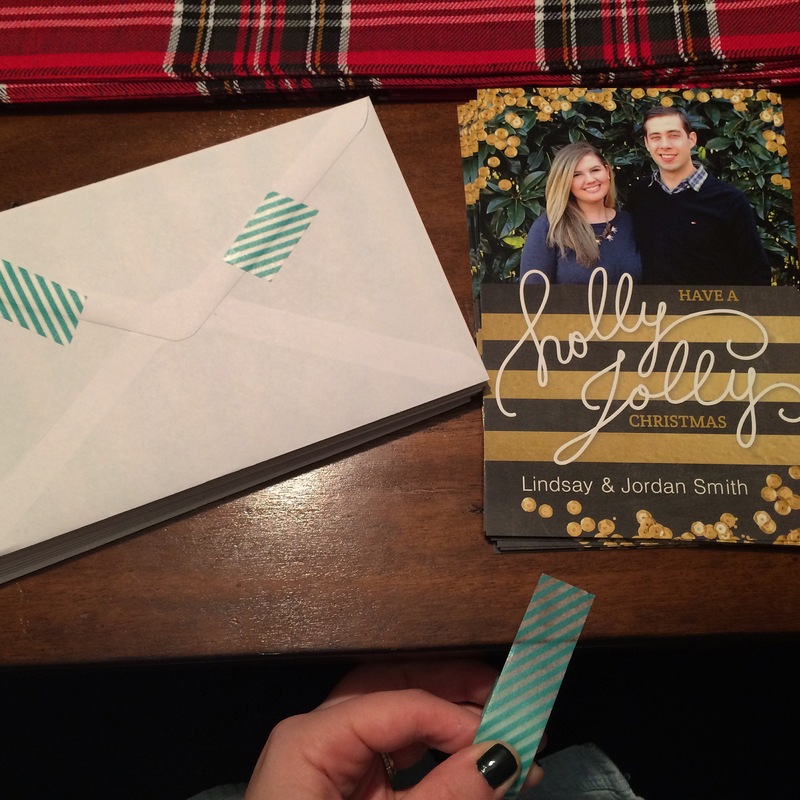 This year I thought our envelopes looked a little plain and used some striped washi tape over the sealed envelope. I love using washi tape but never trust it to actually seal anything. I also use it in my planner to section off projects or vacations, on presents to add a little pop or on the fridge to easily peel off. With so many colors and patterns, your options are limitless! Categories: Good Design | Tags: christmas, christmas cards, holiday, washi tape | Permalink.